The City of Ventura recognizes the MortgageCouch as November’s Business of the Month! On November 16th at the Ventura City Council meeting, MortgageCouch is going to be awarded with the Business of the Month award for the month of November. The event will be broadcasted on Channel 15, and it will be rebroadcasted on Saturday November 14th at 10:00 am. This award is given to businesses that are active in the community, and that promote the Business Community in Ventura. We are honored to be given this award, and we hope to be able to continue to contribute to the City of Ventura! Matthew Couch and Shelby Bishop will be in attendance to receive this award. At MortgageCouch, we strive to identify the best wholesale lender for our clients. 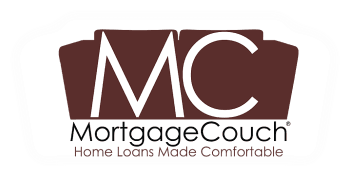 Whether you are looking for the best available terms or a specific lender to accommodate a unique situation, MortgageCouch has the resources and expertise to meet your every need. City Council meetings are streamed live over the Internet, and archived videos are available for viewing 24 hours a day. Please visit the City of Ventura’s website to view the event online www.cityofventura.net/video. If you have any further questions for the MortgageCouch, please contact us at (805) 619-3551.